Interested in the affordable housing conversation? Click here for our full archives. 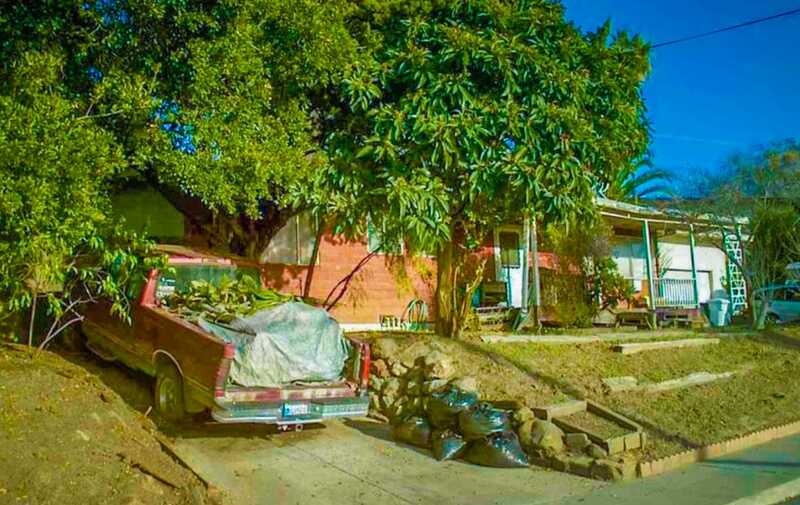 Above: a photo of the condemned Fremont home that sold for over a million dollars in March of 2018. Unless you’re a pair of millionaire investors, who decided to purchase the home on March 30 for $1.23M. In fact, the condemned house wasn’t even listed at that cost; it was listed for over $200K less. However, the vast amount of wealth moving into and living in California, along with the lot’s size and the Bay Area’s lack of development, alters the way the housing game moves. And it affects, most disproportionately, those who don’t even make $1.2M in a lifetime. Listing agent Larry Gallegos at Reliance Partners, said the house had been on the market less than a week when he received three all-cash offers on top of nonstop calls. And this point needs to be clear: he noted that no one was interested in the building—a dilapidated, mildew-covered, holes-in-the-ceiling structure that was nothing short of uninhabitable—but they wanted the dirt. Gallegos repeated, indirectly, something that many Long Beach residents lament: Fremont, the town the 64-year-old has lived in his entire life, used to be affordable, noting that his family’s first home in Fremont cost $13K. It has, however, shifted—and not because they are building the “wrong” type of housing. But because they aren’t building housing at all. Both he and Bay East Association of Realtors President-Elect Nancie Allen agree on one thing: low inventory has created a market where people just want in—and the only ones who can access it aren’t even those making what many would consider to be plenty of money nor necessarily those who even need home. It’s for the ultra-rich only. Even worse? Because of that lack of inventory, people needing a home didn’t buy the home. Instead, two investors split the cost, according to Gallegos, will tear down the condemned home, build a 4,000 sq. ft. “green” home, and re-sell in five months. This goes for a burned house—literally: it caught on fire—that was sold without a rehab in a nearby San Jose neighborhood for $800K. Yes, you read that right: a burned, uninhabitable house sold for $800K. The appeal? Even more money for the wealthy and, when paired with a housing shortage, the potential for massive profit on quick flipping. With this, Lorenzana emphasizes, you have poorer communities shooting down every project that is market-rate or lacks affordable units—and the only one who benefits from such projects not being built are, ironically, the poor. According to Bay Area journalist Marisa Kendall, who has long been covering the housing crisis, the Bay Area’s city officials closing off housing projects on every level—be they affordable or otherwise—has exacerbated the issue. So what about the Los Angeles region, including Long Beach? It is set back by a lack of support for affordable housing and an overtly complex funding, permitting, and development process , as expressed by the group of affordable housing builders, policy makers, and experts I hosted earlier this year. Michael Massie of Jamboree Housing, who builds affordable developments throughout the Southland: “Give me money to build it, first and foremost,” he said. It is set back by a lack of Section 8 vouchers being renewed by property owners. It is set back by, well, a lack of housing. The lack of housing, especially affordable housing, is causing thousands of folks to note that affordable monthly rents are becoming increasingly difficult to find—which feels frustrating when seemingly the only development citizens see are luxury high rises. And surely, even the most liberal of economists will say proudly that “more housing of any kind is better than none—just look at NorCal.” But this opinion, especially from an economist, isn’t comforting for the folks that are being continually displaced. The current lack of housing is inherently connected to our lack of affordable housing: cuts in annual federal and state funding, including the elimination of Redevelopment, have reduced our county’s investment in affordable housing production and preservation by more than $440M annually since 2008, a 62% reduction. The low income renters of the county also bear huge burdens. While median income renters spend an average of 28% of their income on rent, leaving the other seventy-two percent of their income to go toward things likes food and transportation to work, lower income folks aren’t as privileged. Households earning half of the median income or less spend a staggering 71% of their income on rent alone. What this ultimately results in is not only less money for essentials like food but having to heavily consider issues like the cost of travel (not just for errands but for jobs and therefore the inability to accept certain jobs). When it comes to rent burden—that is, 50% or more of one’s income being solely relegated to rent—the numbers are even more alarming: 83% of extremely low income households, 57% of very low income households, and 19% of low income households are burdened by rent. Meanwhile, median income or above-median income households sit at 5% and 1% respectively in terms of those who experience rent burden. The need for more housing, particularly the affordable kind, is urgent—even in job-saturated markets like the Bay Area, where employers don’t work with city officials and developers to build more housing (and many affordability advocates lament the lack of jobs here in Long Beach, which is a double-edged sword: we can’t support jobs if we don’t have housing, as the biggest employers in the country are discovering in the Bay Area). But the ultimate thing in all this, the harshest reality we must face: are are collectively choosing this, one way or another. When city officials choose to exclude inclusionary housing ordinances that either force affordable units or create funds for affordable housing, they are choosing to create more opportunity for the affluent and less for the poor. When you say empty parking lots or dilapidated buildings are better off as they are rather than being replaced by housing, you are choosing markets more unattainable than they already are. When you actively fight policies that increase housing because it will “ruin neighborhood character,” you are choosing to actively displace folks. When you tell people that can’t afford the newly increased rents because of the lack of housing supply to just “move to the Inland Empire,” you are actively participating in the cleansing of the poor (as well as the folks who created the “character” of the city you are choosing to invest in). We are choosing this pathway.